Amazon.com description: Product Description: Sarah Parker Remond (1826â1894) left the free black community of Salem, Massachusetts, where she was born, to become one of the first women to travel on extensive lecture tours across the United Kingdom. Remond eventually moved to Florence, Italy, where she earned a degree at one of Europe's most prestigious medical schools. Her language skills enabled her to join elite salons in Florence and Rome, where she entertained high society with musical soirees even while maintaining connections to European emancipation movements. 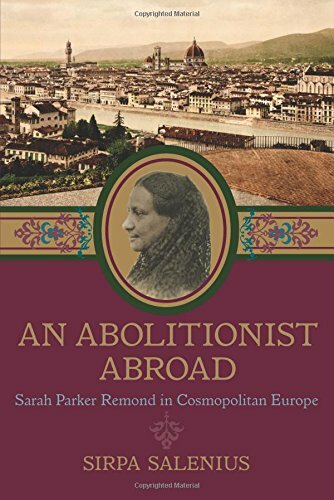 About: Sarah Parker Remond (1826–1894) left the free black community of Salem, Massachusetts, where she was born, to become one of the first women to travel on extensive lecture tours across the United Kingdom.